In the monthly e-newsletter of Grantmakers in Health (GIH), a trade association of funders dedicated to promoting “better health through better philanthropy,” Pritpal Tamber, cofounder and CEO of Bridging Health & Community, a Seattle-based nonprofit, calls on GIH members to not just fund programs, but people, if they wish to improve health outcomes at a systemic level. Bridging Health & Community was founded in 2013. Earlier this year, it hosted a symposium in Oakland, California, that brought together nearly 100 people to discuss the challenges and opportunities to foster community agency. Case studies looked at two efforts in particular, the Bronx Healthy Buildings Program, led by the Northwest Bronx Community and Clergy Coalition; and the Building Healthy Communities program site of South Kern County (south of Bakersfield), a 10-year community effort supported by The California Endowment. Tamber notes that the public health field faces some ironies. One the one hand, public health concepts such as “population health” (i.e., keeping people healthy) and “value-based health care” (i.e., changing compensation to focus on improving health, rather than the number of medical procedures performed) have gained in prominence. But the conversation remains driven by health sector professionals. 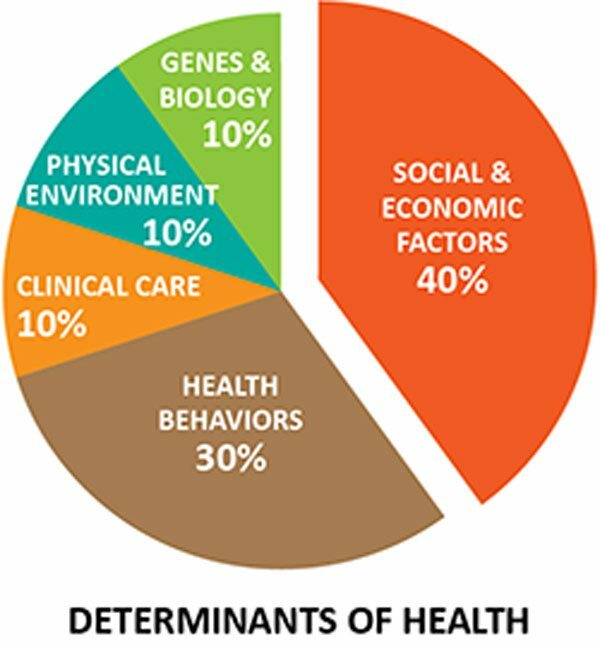 “As long as the health sector is the main driver of the conversation,” Tamber asserts, the resulting work will drift toward treating sickness, rather than promoting overall community wellbeing. Include in a community’s collective effort those who live there, those who work there, and those who deliver or support services provided there.